After living in Chicago for over 7 years and finally dining at Frontera Grill, I can say I have tried all of Rick Bayless's restaurants. Some are great and others definitely subpar, but this review on Frontera Grill will explain why I think it is absolutely amazing. 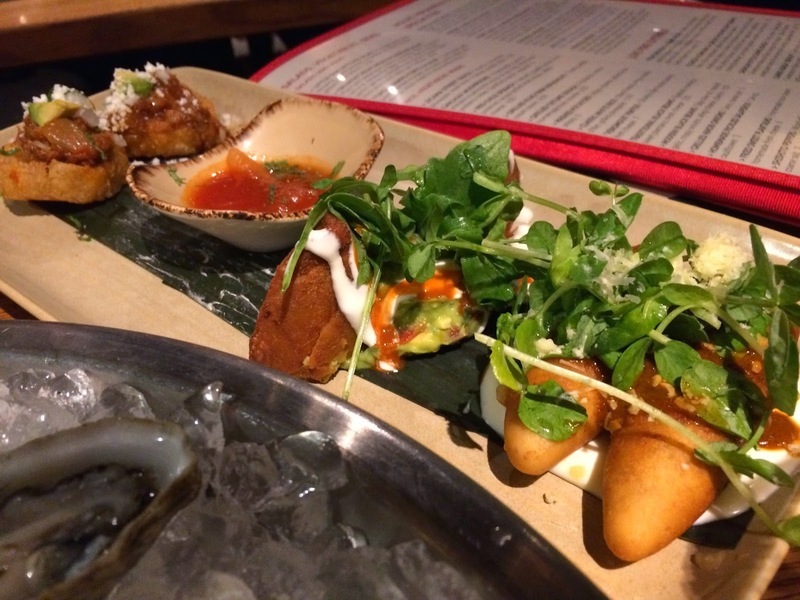 The concept here focuses more on local Mexican treats, including takes on classic street food dishes. At any given time, the menu can change and only remain for a week or two. I was absolutely amazed with the sampler platters that they offered, including a seafood creation that is a "must have." The atmosphere is very laid back with Mexican music playing in the background and Rick Bayless making short appearances (if you are lucky). The reservation system is insane and can take up to 2-3 months to get a primetime slot on a day that fits your schedule. Walk-ins are welcome, but I wouldn't suggest it. And, finally, I couldn't give it a perfect rating because of the price... It will easily cost you $100 for two if you have a drink or two. The price is definitely steep, so I decided on a 4.5-mile rating was fair. 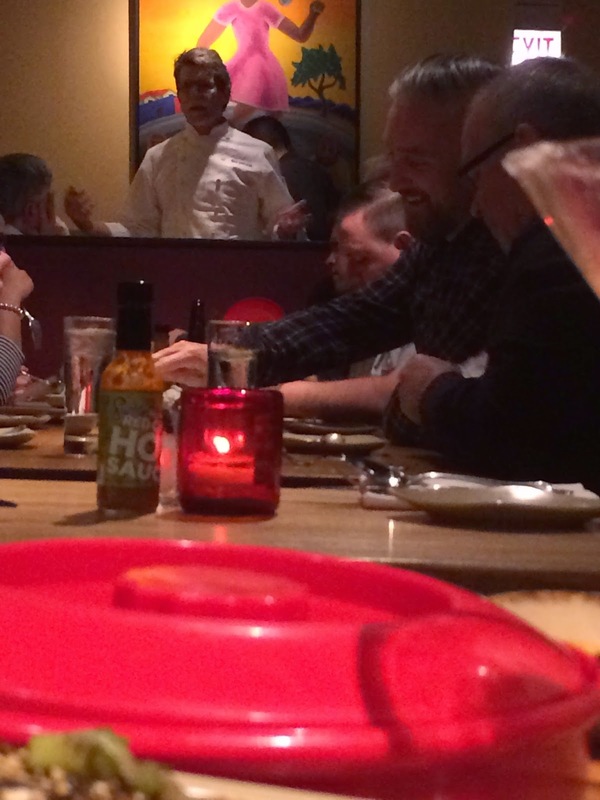 I will say, if I had to choose just one of his restaurants to visit, it would WITHOUT QUESTION, be Frontera Grill. 1. 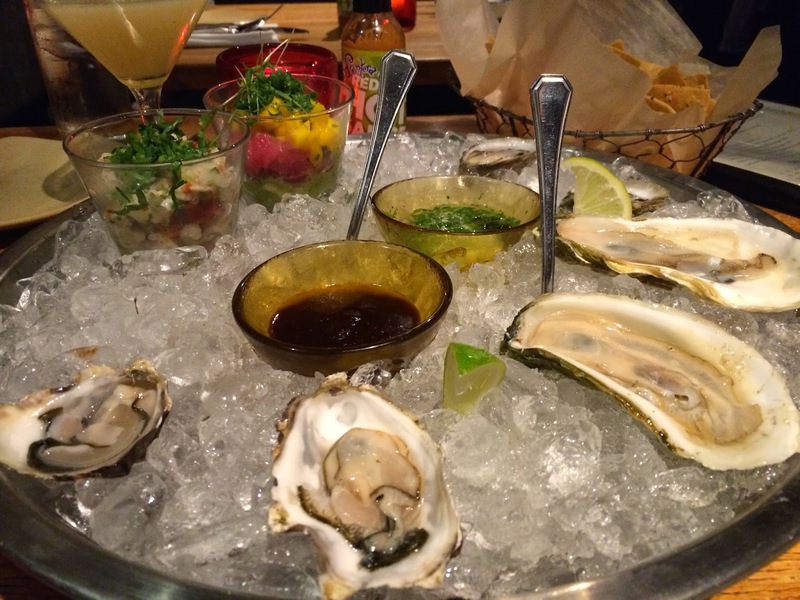 Half Dozen Oysters (Royal Miyagi (British Columbia), Wianno (Massachusetts), and Shigoku (Washington State)) - served with smoky chipotle-garlic salsa, habanero-tomatilla minoneta, and fresh limes. The pairing of all these seafood creations was unreal. First, the oysters each had their own specific flavor, some brinier than others but all amazingly fresh. That chipotle-garlic salsa was TO DIE FOR. It added a nice smoky undertone to each oyster without overwhelming their fresh sea flavor. The two ceviches were served with house-made tortilla chips and were unique in their own way. The Frontera ceviche used albacore, which gave it more of a meaty, cooked texture. This was completely different from the tropical tuna cocktail, which reminded me more of a tuna poke. The tuna in that cocktail was sushi-grade and could be eaten alone. Unbelievably delicious; I highly recommend this platter. 1. Enchiladas Potosinas, which were corn masa turnovers filled with homemade cheese, and presented on a bed of guacamole, hot sauce, crema, and arugula. 2. Chorizo Molotes, which were corn masa torpedos filled with chorizo, cheddar cheese, plantains, and served with a spicy guajila salsa and crema. 3. Sopes Rancheros, which were crispy corn masa boats topped with shredded beef, roasted tomatoes, avocado, and fresh cheese. Each of these creations were handheld bites resembling their category of street food. 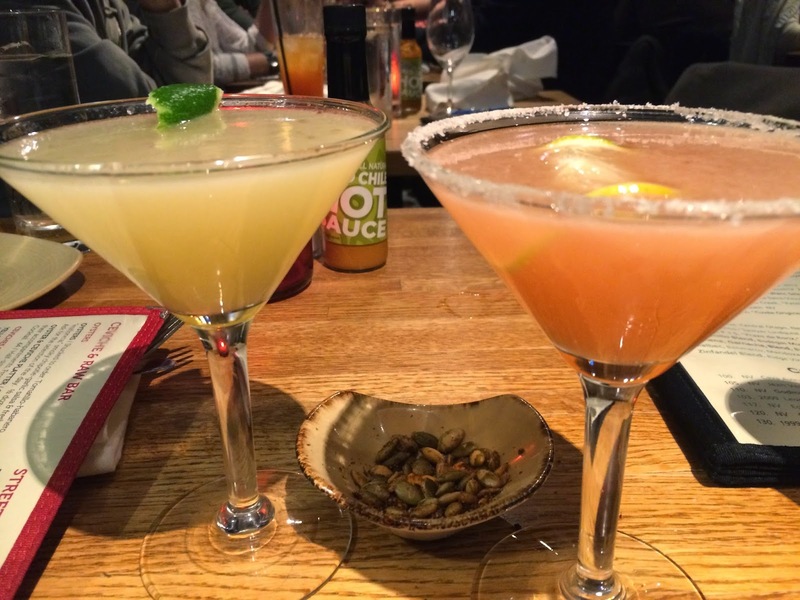 They come with two pieces each, making it perfect to share on a date. Out of all three, my favorite bite of the entire night was the sopes rancheros. The corn masa boat was light and fluffy, very uncharacteristic of most masa dishes. The shredded beef was tender and well spiced. And the avocado and cheese added the needed freshness and richness to the bite. The other two street food items were also delicious, resembling more of that classic masa taste. The plantains in the chorizo molotes gave a contrasting sweetness to the spicy chorizo. I will say, the enchiladas potosinas were my least favorite, but it came with a good size serving of guacamole. So basically, you can order the trio, but secretly get a side of guacamole with it. Another highly recommended dish to share! Each day, Frontera Grill has one special entree that they offer. During this month's menu, Friday's special is called the sudadero. 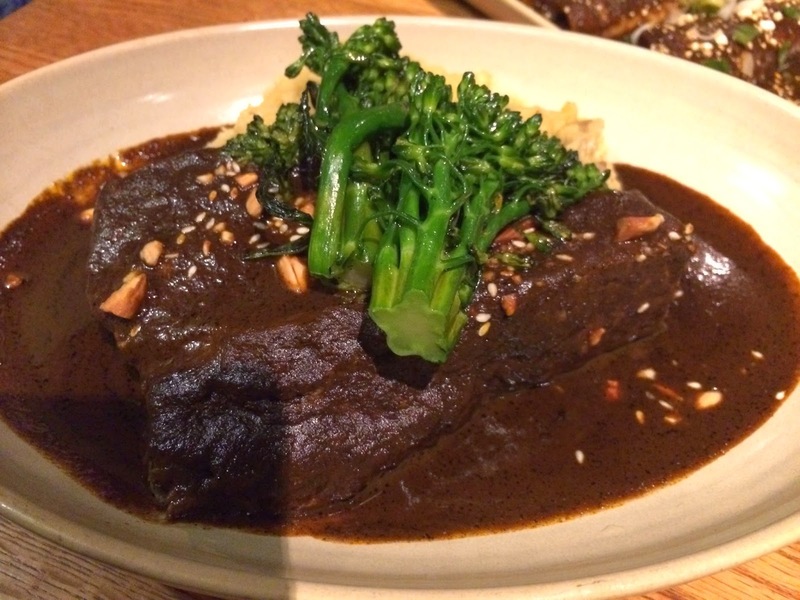 The dish consists of a 20-hour smoked brisket smothered in a Oaxacan black mole and served along with mashed potatoes, broccolini, and their house-made tortillas. When I first saw the size of the entree, I was shocked. It was easily the largest dish on the menu and enough for two people to share. The mole sauce was wonderful with a nice nutty flavor prevailing. The potatoes were made with a queso anejo, so think mexican cheddar potatoes. I suggest making brisket tacos with all the ingredients, including the potatoes. I will say, the brisket had a nice chunk of fat in the middle of the cut, so be aware. Since we only ordered one entree, we figured the smaller enchiladas plate would be a great "filler." Wow, were we wrong. We didn't need to order anymore with the size of the entree, but we were still glad to give this goat enchiladas a try. 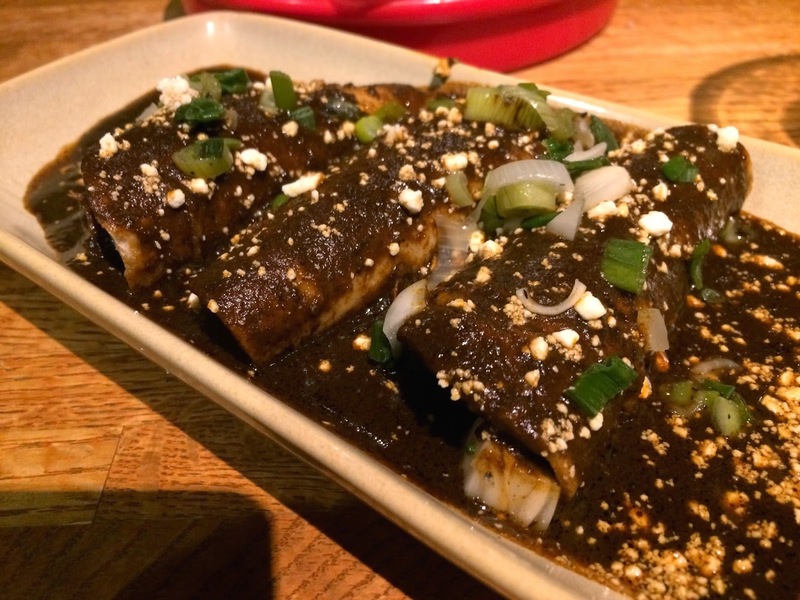 Made with a red-chile braised goat, these enchiladas are then engulfed by a mescal-infused "borracha" sauce before being topped with aged Mexican cheese and grilled scallions. Personally, right when the dish arrived, you could smell the aged cheese so just imagine how tasty it is. It added a nice sharpness and saltiness to the drunken sauce. The sauce reminded me of a mole, but was significantly better than the brisket sauce. They make look the same, but they tasted different. The goat was tender and plentiful, but without a gamey flavor, I wasn't sure if it was goat or beef... I assume they would trick us! A good dish, but others were much better. When it comes to tres leches cake, it is difficult to find somewhere better than Kristoffer's Cafe & Bakery (a Rick Bayless-approved tres leches bakery). But I thought, if anyone could do it, it would be a Rick Bayless restaurant. Unfortunately, they still fell short, but not by much. The tres leches cake at Frontera Grill was served with white chocolate-xtabentun ice cream, toasted meringue, a shortbread crumble, and upon our request, a side of bittersweet hot fudge. I thought it was great, but still wasn't as moist and flavorful as Kristoffer's. I will say, their ice cream, which contains the Mexican liquor xtabentun, was delicious, especially with the hot fudge. The shortbread crumbled underneath the ice cream provided a much needed textural component, especially since the entire dessert was creamy. 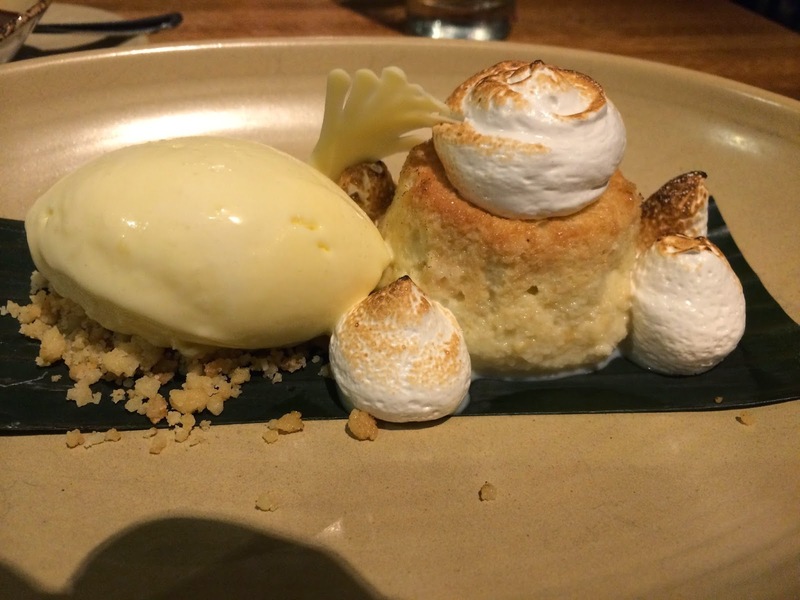 The meringue gave a s'more like feel, but still didn't elevate the tres leches enough to consider it my favorite. Personally, I am not very well versed in how Margaritas should taste or what should be in them. I rarely drink Margaritas unless it has a Corona flipped upside-down in it. I do know that the Mezcal margarita has a smoky flavor to it, while the meyer lemon was much sweeter. Also, I do know that all mezcal is tequila, but not all tequila is mezcal. It depends on which agave plant and how it is harvested/made. Anyway, enjoy the drinks, they are tasty and I assume authentic. - RESERVATIONS! They take a few reservations online via CityEats and also by phone. This restaurant is one of the busiest in the city so I would either arrive REALLY EARLY or make reservations. Walk-ins wait for easily an hour or more. - Valet Parking is $14.00. - Honestly, I would expect to see Rick Bayless around. He is always at his restaurants and every time I have eaten at one, I have seen him somewhere in the dining area. Rick Bayless talking with some VIPs. - Like I previously mentioned, I wouldn't walk-in and try to eat, especially on weekends. The weekdays may be easier, but nothing is guaranteed.